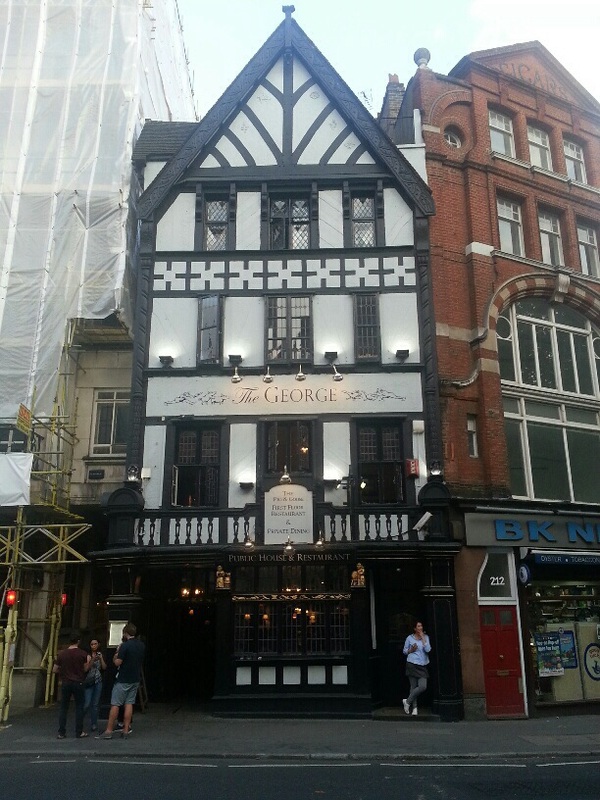 Not to steal Will’s thunder, but I’m also a Chaucer geek, so I couldn’t resist snapping this photo of The George, i.e. the original Tabard Inn from The Canterbury Tales. 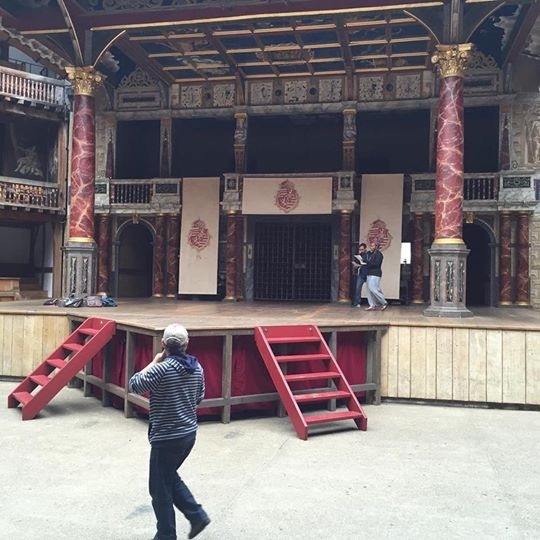 Friday began with a 7AM rehearsal on the Globe stage. Here I am making an entrance on the right with my scene partner. Our director, the gracious Fergal McElherron is guiding us from the yard. Saturday morning’s small group assignment had us “re-membering” Shakespeare by visiting and analyzing his likenesses at several sites throughout London. Click on the gallery photos for captions. 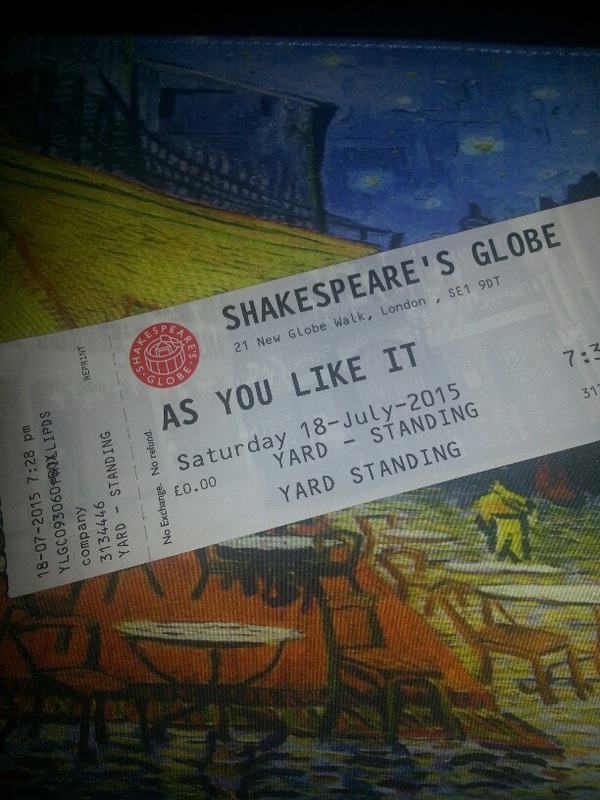 We started seriously rehearsing As You Like It on Friday and saw the Globe’s raucously joyous production on Saturday night. I had a scare when I misplaced my original ticket but the box office was kind enough to replace it when, at the last desperate minute, I showed them my TSTP badge and begged.